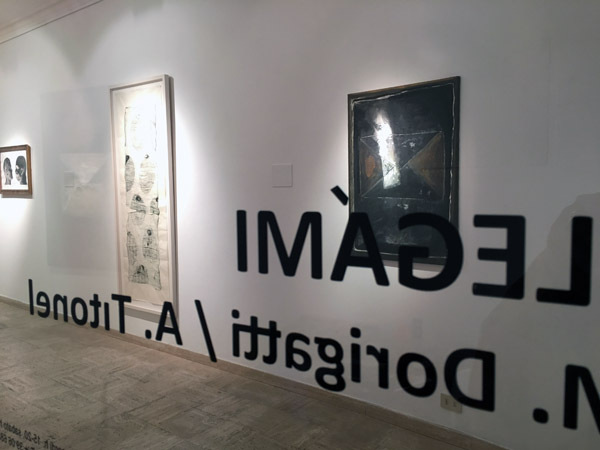 In April, MAC Maja Arte Contemporanea is pleased to announce the opening of Legàmi (Connections), a new collective exhibit, featuring works by Isabella Ducrot, Margareth Dorigatti and Angelo Titonel. Each artist will display three works from a specific collection. These works were inspired by the fabric used to make them: Tibetan votive scarves (katha) that Ducrot collected during her travels to India. The three works on display here were previously displayed at the National Gallery of Modern Art, Rome in 2014. Ducrot uses her skillful touch to re-shape the fragile silk; in so doing, she uncovers its essence, a combination of threaded fabric and artful weaving. In some of the works, she does not undo the woven silk and instead impresses upon it circular patterns: these appear on the gossamer fabric as notes on an ethereal musical staff; they trace the sounds of mantras, prayers, and chants, capturing them on the ghostly canvas. This collection of paintings was inspired by the letters that Goethe wrote Charlotte von Stein (approx. 1700 letters over 10 years). Unable to access the young woman's responses - which she demanded Goethe return to her and subsequently burnt - Dorigatti surmises their content by reading between the lines of Goethe's letters. She steals into the sealed envelopes to find Charlotte's hidden voice and offer it to her viewers on the canvas. 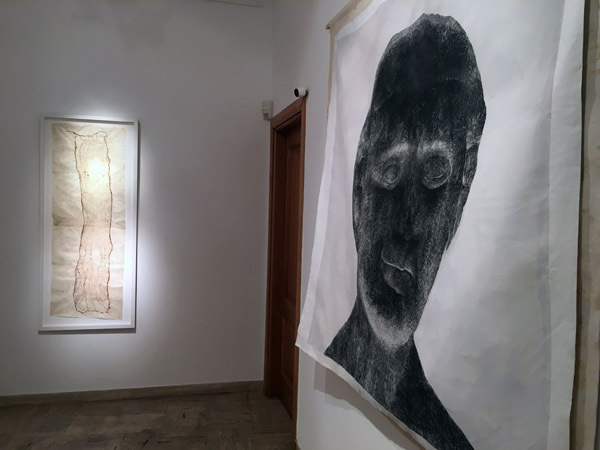 These three works are completed by applying different color charcoal pencils (ranging from light gray to black) on paper (the largest measuring 160 cm by 160). They are part of a new collection entitled 'Tales'. Mysterious heads, which are drawn individually or in pairs, seem to engage in a dialogue between themselves or with their viewers. While we listen, we are free to imagine their personality, their history, and their woes. 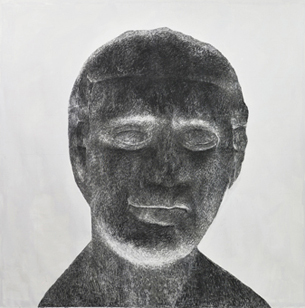 In the works where the heads come in pairs, the narrative unfolds on several planes: it tells of the relationship between the two (as stated in each work's title) and of their physical and psychological differences, as embodied by their different traits. Between fabric and fabrication, marked by fate which seems to dictate the encounter and relationship between the two thus unveiling their purpose: their proximity to the primordial bundle. Between lovers who use the canvas to renew their exchange, imagine words and recreate thoughts. Between viewer and artwork, as the act of viewing completes the mysterious and attractive lack of harmony in the piece becoming part of the tale it tells. Born in Naples in 1931, Isabella Ducrot has been living and working in Rome for many years. In her extensive travels she developed a particular interest in fabrics from countries east of Europe and began studying the many differences in the textile traditions of China, India, Turkey and Central Asia. Over the years she has amassed a collection of rare fabrics of historical interest, and has long used textiles in her own work. In 1989, she created 12 paintings made up of panels that incorporated fragments of an Andean fabric dating back one thousand years. She subsequently spent two years creating a rich series of tapestries around a recurring motif in Ottoman culture, the cintamani pattern. She presented a large tapestry at the 1993 Venice Biennale that is today part of the collection of the Contemporary Art Museum of Gibellina, Sicily. In the 1990s she also began using paper, to create a series of large drawings and monotypes in black and white. In 2002 she created a series of paper tapestries entitled "Memorie di una terra", from memories of a trip to Afghanistan, which were exhibited at the Milan State Archives. 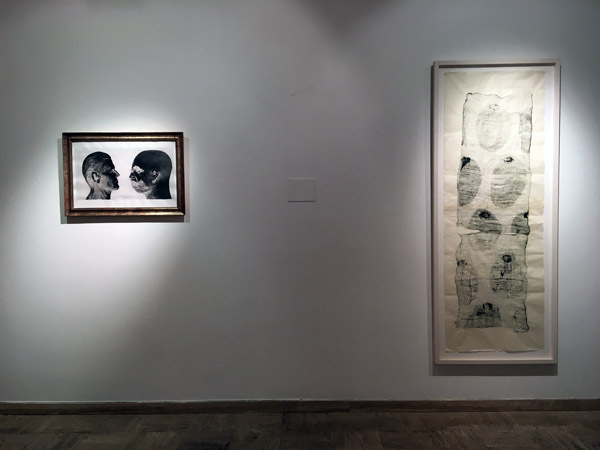 A large collage (4x4m) of fabric, paper and paint was exhibited and acquired by the Galleria d'Arte Moderna in Rome, while a large pastel on silk is part of the collection of Rome's National Gallery of Modern Art (GNAM). In 2005 she created two mosaics for the Piazza Vanvitelli metro station in Naples. In 2008, she had an individual exhibit at GNAM entitled "Variazioni" and published Text on Textile (first in English, then later in a slightly different form in Italian as La matassa primordiale). In 2011, she was invited to exhibit her work at Venice Biennale, Italian Pavilion. 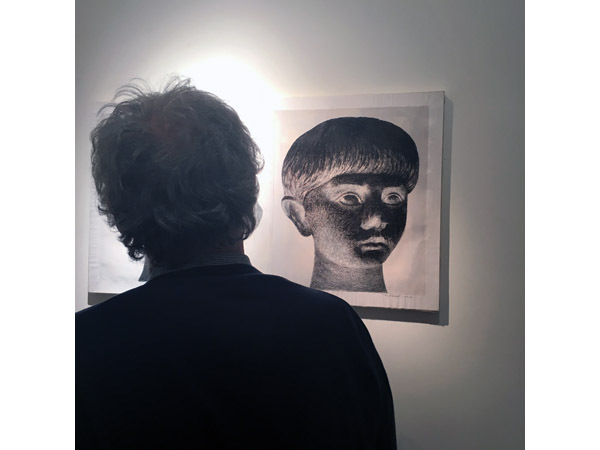 In 2014, GNAM featured another individual exhibition of hers: "Bende sacre". 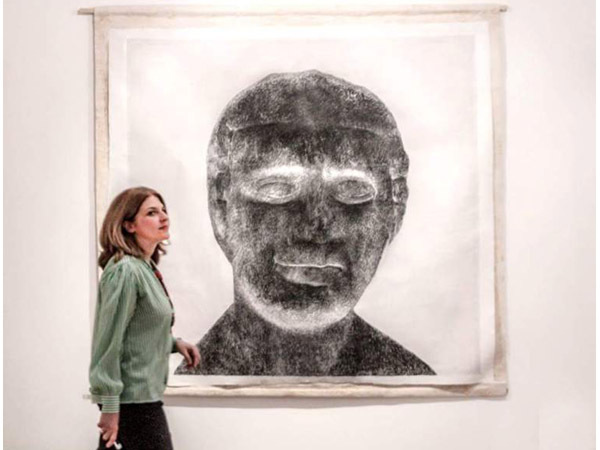 In 2015, she was invited by Achille Bonito Oliva to exhibit her installation "Effimero" at Archaeological Museum in Naples. 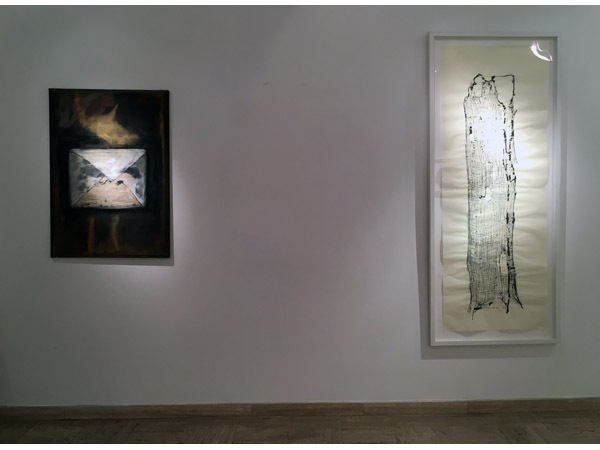 Isabella Ducrot has shown her work in Rome, Milan, Paris, Berlin, New York and New Delhi. She has created backdrops for the theatre, concerts and the ballet (Rome Philharmonic, Lecce Balletto del Sud). In 1973, Margareth Dorigatti (Bolzano Italy, 1954) enrolled in the Accademia di Belle Arti of Venice, where she studied with Emilio Vedova. In 1975, she moved to Berlin to study Painting, Graphics and Photography at the Hochschule der Künste. In 1977, she founded an Atelier that was frequented by eminent artists and theatre people living in Berlin. In 1979, she was awarded a grant to travel to New York and photograph Lee Strasberg teaching at the Actor's Studio. She began exhibiting her work in private galleries in Berlin in 1980 and, in 1983, with Joachim Szymzcak, took on the enormous project of decorating the Berlin underground network: 75 paintings in eight different stations. She won the Internationalen Bauausstellung competition for the decoration of the façade of a historic Kreuzberg house. In 1984 she moved to Rome, where she has continued her work as a painter. She has exhibited in Italy and abroad in private galleries, public venues and museums (Rome, Paris, Milan, Pescara, Bolzano, Modena, Bologna, Berlin, Nimes, Lyon, Cologne, Bonn, among others). She takes part in collective exhibitions in Italy and abroad. She is Professor of Decoration at the Accademia di Belle Arti in Rome. Angelo Titonel (b. 1938, Cornuda, Italy) graduated from the "Castello Sforzesco" School of Applied Arts in Milan. He began working as a graphic designer and art director in international advertising agencies but eventually abandoned this career to devote himself to painting. His first exhibit came in 1964, in Velbert (Essen), Germany. He later moved to Rome where, during the 1970s, he was recognized as one of the leading figures of Italian Magic Realism. Titonel's numerous exhibitions include shows at the Museo Civico of Bologna (Italy, 1973), the Museum of Contemporary Art of Skopje (Macedonia, 1974), the European Parliament in Strasbourg (France, 1994), the Complesso del Vittoriano in Rome (2001), the Lausanne Olympic Museum (Switzerland, 2005) and the Palazzo Pubblico Antichi Magazzini del Sale in Siena (Italy, 2010). 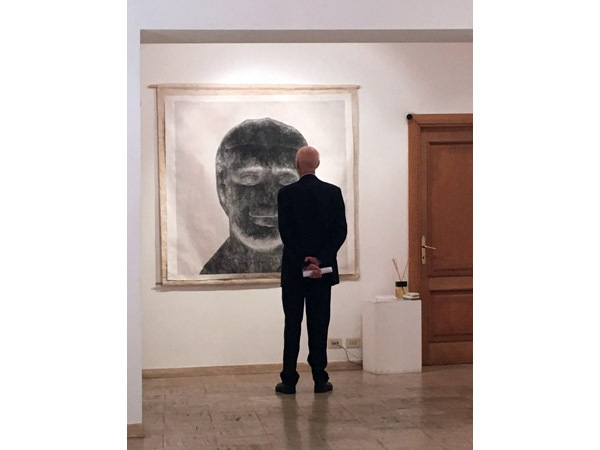 Besides having many other solo exhibits throughout Europe and the United States over the years, he has also been invited to several international biennial and quadrennial events and has been bestowed with diverse awards and rave reviews. His many prestigious commissions include the Quirinal Palace (the official residence of the President of the Italian Republic), for which he has painted portraits of presidents and key historical characters, including Giuseppe Garibaldi, Giuseppe Mazzini, Massimo D'Azeglio and the Count of Cavour. He was also commissioned by the Vatican to paint the official portrait of then Pope Benedict XVI. Upon request from the Uffizi Gallery in Florence, he created a self-portrait for the Gallery's collection entitled "Artist Self-Portraits". Numerous Italian and foreign critics have written about Titonel's work.